In any divorce case involving children, child support is not the only financial issue to be determined. Children's health insurance, medical expenses and sometimes extracurricular activity expenses will be determined by the Court. In addition, the Court can determine (or the parties can agree) on who may claim the child dependency exemptions on their income tax returns. "1. The child must be your son, daughter, stepchild, foster child, brother, sister, half brother, half sister, stepbrother, stepsister, or a descendant of any of them. 2. The child must be (a) under age 19 at the end of the year and younger than you (or your spouse, if filing jointly), (b) under age 24 at the end of the year, a full-time student, and younger than you (or your spouse, if filing jointly), or (c) any age if permanently and totally disabled. 5. The child is not filing a joint return for the year (unless that joint return is filed only as a claim for refund)." c. Lived apart at all times during the last 6 months of the year, whether or not they are or were married. 3. The child is in the custody of one or both parents for more than half of the year. 4. Either of the following applies. a. The custodial parent signs a written declaration, discussed later, that he or she will not claim the child as a dependent for the year, and the noncustodial parent attaches this written declaration to his or her return. (If the decree or agreement went into effect after 1984, see Divorce decree or separation agreement that went into effect after 1984 and before 2009 , later. There are more specific examples discussed in the publication, but the simple explanation is that a custodial parent with more than 50% of parenting time will have the right to claim the child as a dependent unless they voluntarily (or by order of the court) transfer that right to the other parent. If you receive an agreement that one parent is not going to claim the child dependency exemption you should also obtain a Form 8332 Release confirming said agreement. The reason the exemption matters is because the standard deduction per child for tax year 2010 is $3,650. This means that every child you can claim as a dependent reduces your adjusted gross income by $3,650, which could have a significant effect on your overall tax liability. It is important, therefore, to discuss these tax exemptions when negotiating child support and other financial issues, because they may have significant value (and in some cases more value to one party than the other if you are in separate tax brackets). 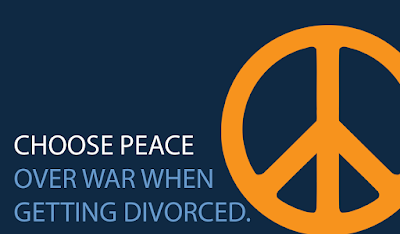 Click here to read Divorce and Taxes: Issue #4. Property Transfers.